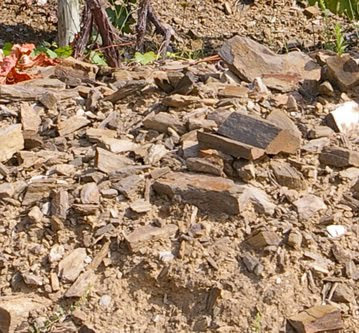 From Champagne to Chablis to Priorat, the concept of minerality in wine is both a constant and difficult-to-quantify one. Lovers of Priorat, for example, often note a sense of the mineral in the wines. 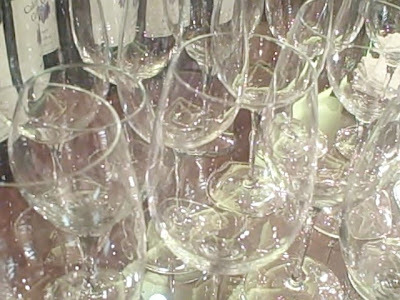 When it comes to Chardonnay, few places can match Chablis in this department. Indeed, even if you have a hard time pinpointing exactly what it is that seems so mineral in these wines, the slightest perception of it alone can have a huge impact on your experience. But where does it come from? This is a question that has vexed wine experts for some time now. Several years ago, The New York Times T Magazine ran an article on it (click here for the link), which prompted Rajat Parr, one of the top sommeliers in America, to pen a rebuttal (available here). Whatever you believe, it’s interesting food for thought this weekend. My recommendation is to ponder both sides while sipping a nice glass of Chablis. Or Champagne. Or Priorat. Mosel Rieslings from the excellent 2008 vintage offer classic character and generally abundant pleasure, even this early in their evolutions. And lucky for fans of these wines, 2008 represents yet another vintage in an extraordinarily good string of them going back to 2001. I recently tasted two excellent 2008 Mosel Riesling Kabinette, the Reichsgraf von Kesselstatt Piesporter Goldtropfchen and the C. von Schubert Maximin Grunhauser Herrenberg. Both of them were inseparably tied to their region of origin, but expressed it in very different ways. Take a look at the tasting video below for my notes. It’s not often that you find yourself involved in the news. So when you do, it always makes you take a step back. This is exactly what my colleagues and I at the Wine School are going through right now. As Director of Wine Education at the Wine School, one of my duties is booking competitors for the Sommelier Smackdowns and, often, competing in them. How food-and-wine pairing competitions impede in any way with the WWE’s ability to do any part of its entertaining is beyond me, but one thing is certain: All of this has raised the stakes for future Smackdowns. Which, in all honestly, I’m thrilled about. As one of McMahon’s pro wrestlers might say, Bring it on! I was rooting through my cellar earlier this week and came across a bottle that I’d forgotten about—the Prince Michel Cabernet Franc 2004. I had purchased two bottles of this Virginia red back in November 2006, as had my father, and, when we each opened up our bottles back in 2007, we agreed that, while tasty, it was overwhelmed by a rather injudicious application of oak. The following year—2008—the report from my father was optimistic if generally the same: It was starting to settle down, but still overwhelmed by wood. So when I came across my last bottle of it the other night, I wasn’t really expecting much. Would it still be too oaky? Would the fruit have fallen away completely? Would there be any structure left at all? 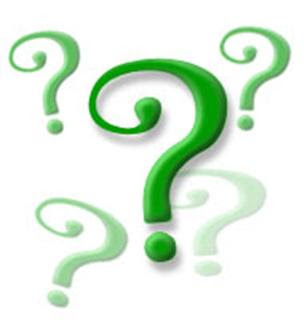 The answers, in order, are: No, no, and—astoundingly—yes. What I found was a wine that had absorbed and integrated all that oak and become a wonderfully mature, shockingly elegant example of Cabernet Franc. 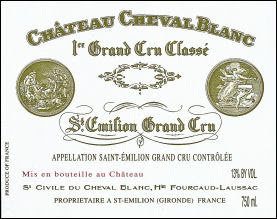 The nose showed notes of rich vanilla-flecked creamy chocolate, white chocolate, distinctive spice, tobacco, and currants. On the palate, it’s almost miraculously fresh acidity gave lift to a wine that unfolded in layers of currants, ripe raspberry and other sweet berry fruit, cream, and underbrush. The remnants of its youthful oak came back on the finish, but in the guise of a slight sense of charring and smoke, which in turn found its counterpoint in the gentle whiff of flowers and spice. Honestly, this was the last thing I expected from the wine, and the surprise drove home two important points. First, you never know what surprises lurk in the back of your cellar. Sometimes, time is the best remedy for awkwardly youthful wines, even when you don’t expect them to age well. 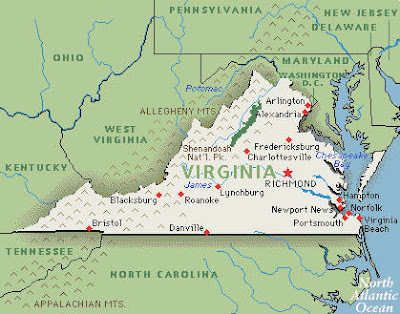 And second, Virginia deserves a chance in the spotlight. There is some excellent wine being produced there—I’ve had fantastic experiences with Kluge Estate, for example—and wine lovers would be well advised to start learning about it. Good news and bad news today from the world of wine. Most wine drinkers have known for a long time that red wine settles the stomach, or, at the very least, somehow seems to lessen the burden on it both during and after a meal. 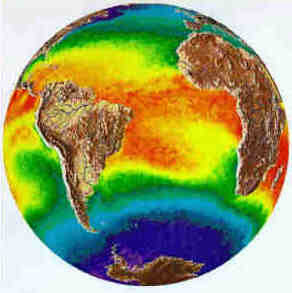 Now, the science seems to back this up with chemical and biological evidence. Click here for the full story. The full article is here. Scary stuff, indeed. 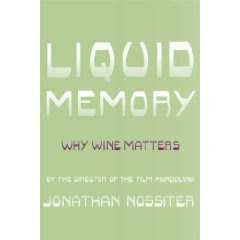 In this past Sunday’s New York Times Book Review, Jim Holt writes about the new book Liquid Memory: Why Wine Matters, by Jonathan Nossiter. Several years ago, Nossiter gained a bit of fame (for better or worse, depending on how you look at it) for his film Mondovino, a tour of the world of wine and its globalization and supposed homogenization. Thought-provoking stuff, to be sure. And while this “polemic,” as Holt calls it in his review, is likely to antagonize as many people as it seduces, the conversations and considerations it starts are sure to be instructive. After all, no matter what your tastes—whether you prefer the richer, fruitier, higher-alcohol wines of the more modern, international style, or the often more austere, earthier, higher-acid wines (indeed, terroir-driven ones) that Nossiter so adores, one thing is certain: Thinking about the issues surrounding the juice in your glass is always a good thing. Anything, after all, that makes you delve deeper into the world of wine is likely to be hugely beneficial in the long run. Heady stuff to ponder, but well worth the effort. With, of course, a nice glass of wine by your side. With all the talk of the potential of the 2009 vintage in Bordeaux, it seems appropriate to address one of the most perplexing issues in wine: That of vintages right before or immediately after the legendary ones. Perhaps it should be expected—the same curse, after all, befalls perfectly good movie sequels that weren’t quite up to the lofty standards of the original at first glance. But just like, say, The Godfather Part II, a great many wines produced in years after the legendary ones turn out to be deserving of far more attention than they initially got. And, in fact, they often surprise and charm in the long run. The good news, though, is that, when it comes to these less-publicized vintages, there are often great deals to be found. And, even more important, remarkable wines to be enjoyed. This was thrown into sharp relief yet again at a dinner this past Monday night. I visited a BYOB in Philadelphia with my friend Scot “Zippy” Ziskind, who I’ve written about here before. He’s one of the most highly regarded custom storage, humidification, and cooling experts in America, owner of ZipCo Environmental Services, Inc. and My Cellar wine storage, and a passionate collector of Bordeaux. 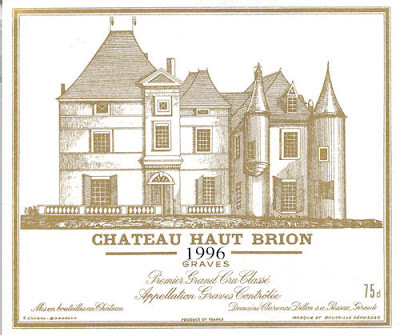 That night, we enjoyed, among other treasures, the 1981 Chateau Haut-Brion. And, as is so often the case when it comes to wines from next-to-great vintages, this one was a stunner. 1982, of course, is considered one of the best…and, indeed, they are remarkable wines. But there’s a high cost that goes along with that kind of reputation, and it’s not just monetary: Too many people, it seems, still get rather myopic when it comes to great years, and too often ignore the excellent wines from less-famous ones. This wine in particular was magnificent, a fully evolved, silky masterpiece with aromas of flowers, damp earth, smoke, and a singing strain of lavender. On the palate, it was perfectly balanced, with lovely acidity providing lift to the exotic spice, tobacco, and smoky, grilled notes. The flowers came back on the finish and lingered on with persistence and elegance. It was a truly great wine by any standard. The lesson here is simple: Don’t focus on marquis vintages at the expense of the supposedly lesser ones. Because when all is said and done, bottlings from years surrounding the most famous ones often evolve into wines that are every bit as sublime in their own way as their more famous siblings. That, really, is the beauty of great wine: You never know where you’re going to find it. Or, for that matter, when. The full article in the Times is available here, and is well worth taking a look at. And the book, which I can’t recommend highly enough, is available at Amazon.com right here. 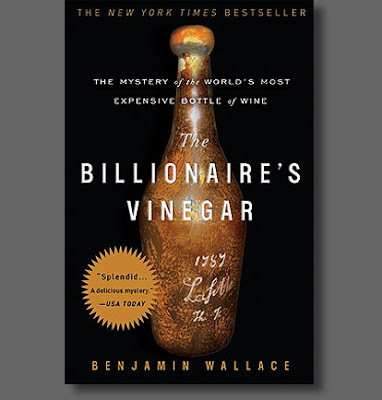 Finally, take a look at this article that The New Yorker ran two years ago; it provides a very good overview of the topics that “The Billionaire’s Vinegar” deals with. Video from the Grand Opening! As we've noted here before, Wine Chateau recently celebrated the opening of its new, 10,000-square-foot store in Piscataway, NJ. The celebration was fantastic, with lots of wines to sample, plenty of food, and even belly dancing. Take a look at the video below for just some of the highlights. It's even better in person, though...so stop on by for a look! At the grand opening of Wine Chateau’s beautiful new store in Piscataway, NJ, last weekend, there were a number of spectacular wines available for tasting. From Cakebread Merlot to Spanish Quarter Chardonnay - Albariño to Polkura Syrah and seemingly everything in between, the entire world of wine was there. Today, though, I want to focus on the wines of Sicily. I’ve written about them here before, but this seems like a good time to consider them again. Two of my favorites last weekend were the elegant Vignali Roccamora “Carlo Alfano” Nero d’Avola – Merlot 2007 and the powerful, lush Tinazzi No. 3, a blend of Corvina, Primitivo, and, yes, Nero d’Avola. Both of these wines amply demonstrated the range and drinkability of this great grape of Sicily, as well as the different styles in which it’s being produced. There’s a greater range of excellent wines coming out of Sicily right now than there ever has been before, and exploring what the island has to offer is a journey that will both surprise and delight you. 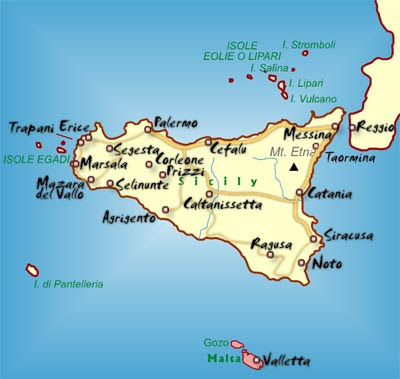 For a bit more on Sicilian wine, click here for a video that Wine Spectator recently posted. It provides a quick, easy glimpse of today’s Sicilian wine industry. There has been a good deal of buzz about the 2009 vintage in Bordeaux—excellent fruit, great potential, even at this early stage of the game—and, as with most years as promising as this one, it’s rare to hear any words of caution coming out of the Gironde. Sounds like a perfect October wine to me. 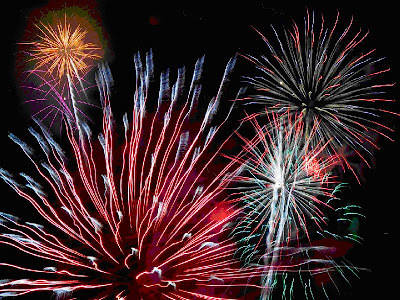 Monday News Roundup...And the Grand Opening! Some big news has broken lately in the world of wine. Decanter.com recently reported that “Renowned Rhone producer Nicolas Jaboulet is set to release his first wine from a new joint venture with the Perrin family of Chateau Beaucastel.” This is a dream team of sorts for wine lovers: Jaboulet’s former firm, Paul Jaboulet Aîné, produces some of the most sought-after wines of the Northern Rhone. And the Perrin family produces what many consider to be among the finest wines of the Southern Rhone. This, then, is as promising a partnership as we’ve come across in a long time. Also of note is a recent blog post on the Carignan grape by Eric Asimov of The New York Times. What’s important about what he has written isn’t so much the specifics, but the fact that someone has finally penned a piece on this most misunderstood grape variety. For indeed, it has been responsible for—or, at the very least, contributed to—some excellent wines from all over the world, most notably South West France and California. 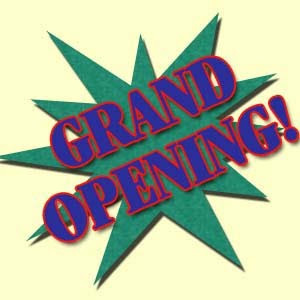 And, finally, the biggest news of all: Wine Chateau’s Grand Opening celebration of the new, 10,000-square-foot store in Piscataway, New Jersey. Hundreds of people stopped by the gorgeous new space this past weekend and were treated to tastings of fantastic wines (the photo above is a close-up of part of the spread), great food, the company of family and friends, belly dancing on Friday night, and a ribbon-cutting on Saturday. I’m still editing the video I shot, and will have it posted here in a couple of days. But needless to say, if you haven’t been able to visit already, make sure to do so soon. From the knowledgeable, passionate staff to the incredible selection of wines to the spectacularly elegant (and fabulously stocked) fine wine room, the new Wine Chateau in Piscataway is a wine experience you definitely don’t want to miss. Big New House: Time to Celebrate! This is a big weekend for WineChateau.com as it marks the Grand Opening of the new, stunning 10,000-square-foot store in Piscataway, New Jersey. And, in true WineChateau.com fashion, this gorgeous location is about so much more than just the amazing selection of wine. Because the space itself will allow the team to offer you not only the same legendary service you’ve come to expect both in-person and online, but also a brand new shopping experience. I’ll be writing more about the new store and the Grand Opening next week, but for now, take a look at the review below. I thought that today would be an appropriate day for it, simply because of its name—Big House wine, big new house for WineChateau.com. What could be better? While the blend here is certainly unusual, the wine itself is nothing short of charming. Syrah, Charbono, Grenache, Tannat, Zinfandel, Barbera, Tempranillo, and Sangiovese come together to create a harmonious, spicy, raspberry- and watermelon-scented California rosé. Flavors range from the expected (peppercorn, dried Mediterranean herbs) to the surprising (cooked rice, caramel). All of it, though, works beautifully. And while it may be getting a bit late in the season to think about rosé as much as you did back in July, this mouth-filling beauty has enough richness and structure to work perfectly throughout the year.